The first few university classes can be daunting for any individual. It’s critical to understand that WHERE you sit in a classroom can have a significant impact on your grades. Depending on where you choose to sit, your feelings and motivations to succeed in a course can be altered. In this blog, you will learn some basic tips on how to “sit” your way to success. 1. Get to class on time. This might sound simple, but waking up at 5am for those dreadful 8am classes can make things a little more complicated. Yes, I know, you are feeling tired and some of you are thinking that “is there even a 5am?” You just have to push yourself through these first few early mornings, and soon enough, it will be a routine. If you find it difficult to wake up, do some simple things to stimulate you in the morning, such as drinking coffee or doing some stretches or exercises. What works best for me…GOING TO BED EARLY! 2. Have a look at the room before you sit down. Just by doing this, you can see where your fellow classmates might be. I am sure, for extroverts especially, by simply being in the company of your friends, class is a lot more enjoyable, even if you aren’t chattering with them throughout the lecture. This rule is also very critical, especially for first year students, when class projects are assigned. Sometimes you feel more comfortable working with people that you know, so by having your fellow classmates with you as you co-ordinate to find a group makes the logistics a whole lot easier. If you are carrying a laptop or a phone, you will often require a plug to charge your electronics. 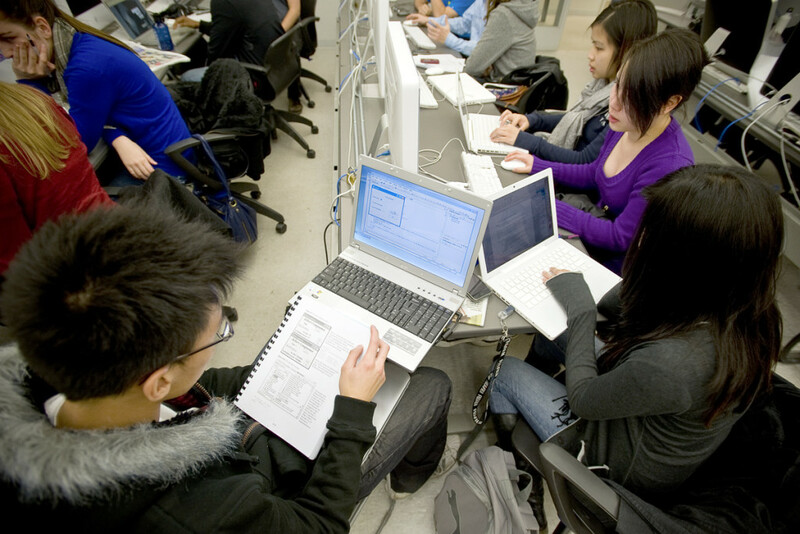 Fortunately, at Ryerson, several classrooms have electronic outlets scattered throughout the room, whether it is on a wall, or on a desk. If you need to charge something, make sure you are sitting next to an outlet, because (sadly) you won’t have a Pikachu to charge your batteries for you. Personally, this is a HUGE no-no. Unless you are a student who is just looking to pass a course, you want to be fully engaged in the lecture and sitting in the back of the classroom will not help you accomplish this. Depending on the lecture hall, as well as the ability for the professor to project his/her voice, sitting at the back can make it extremely difficult for you to hear the professor. Also, if you would like to ask a question, there is a greater chance that the professor won’t see your raised hand if you are seated at the back of the classroom. Also, I find that when I do sit in the back, I tend to fall asleep. It’s no coincidence that I tend to do poorly in the classes that I sit at the back of the classroom than when I sit up front. So there you have it. I have outlined four basic rules that I believe all students should be mindful of when selecting their seating. As for me, I generally sit in the end of the second or third row. Why? This is so I remain fully engaged in the lecture. Secondly, I sit at the end of the row just in case I have to use the washroom. By sitting at the end of the row, I do not disrupt many students as I pass by to leave the classroom. So there you have it. I wish you all the best of luck with your studies.